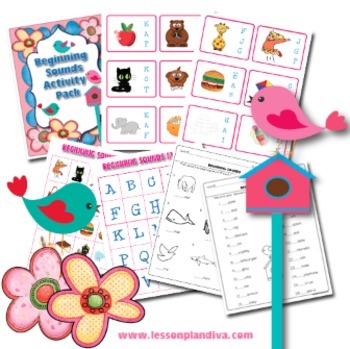 This 12 page activity pack includes 2 beginning sounds centers with recording sheets and one extra activity. 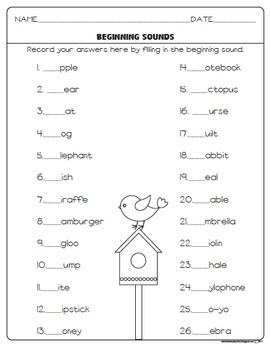 The students circle the correct beginning sound with dry erase markers on the picture cards and then record their answers. 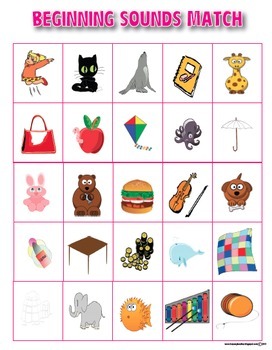 The second activity students take turns matching the beginning sound letters to the correct pictures. The first to cover all of their pictures wins!